Hello Betty! There aren’t any. Walnuts, cocoa and orange flavoring – all of these mix together so well! 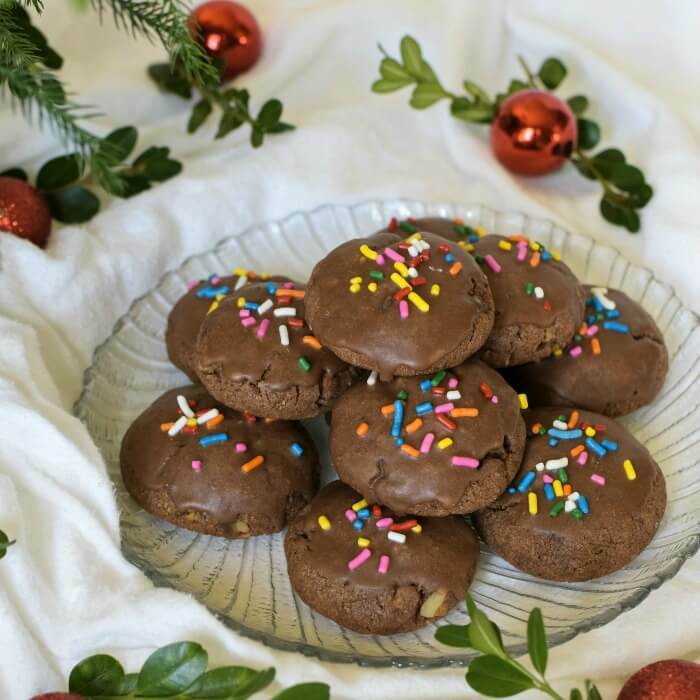 A fantastic recipe for this Christmas and something I would want to give a try to! These sound so incredible Marisa. I love how simple they are to make. Best of all I love the name – toto cookies. I bet they were gone in an instant. 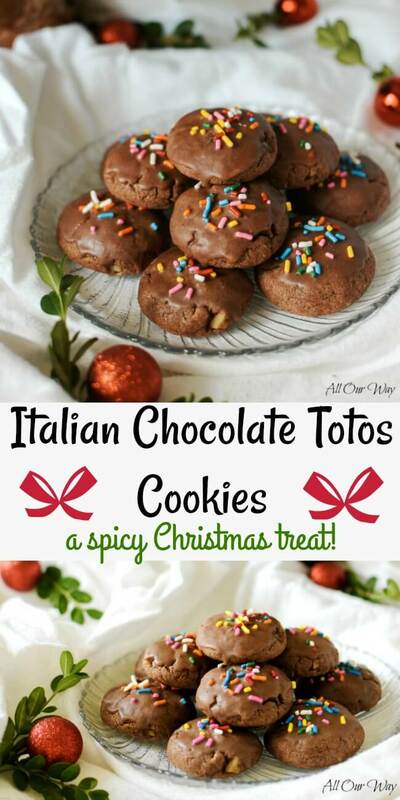 Your Italian toto cookies look so festive and delicious. My chocolate and sprinkle loving daughter will LOVE these. These sounds like the perfect cookie to take to my cookie swap. Every year we try to make something different and I’ve never seen anyone make a spicy orange cookie. And I know what a good cook you are so they have to be delicious! Cookies are one of my favourite things about Christmas 🙂 So many new cookie flavours to discover! I can’t want to make these. Can I sub butter for the shortening? I have never had these cookies. I LOVE the name, and they look delicious. 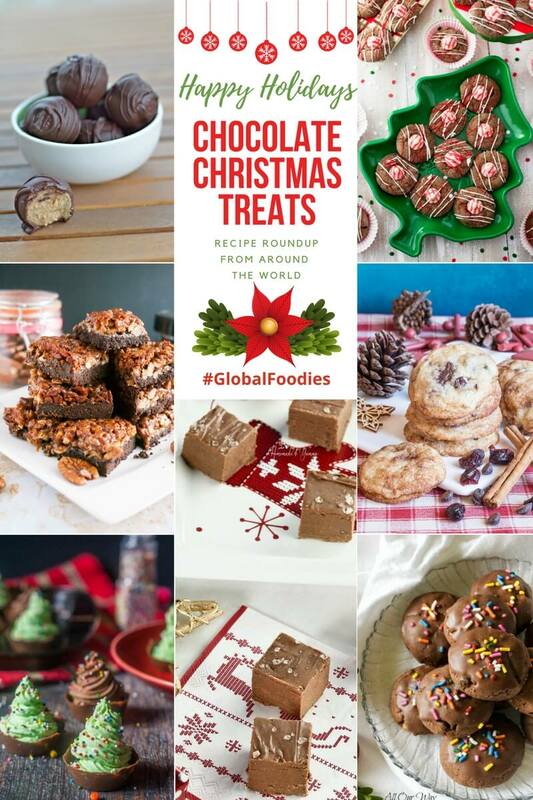 It is fun trying different Christmas foods from around the world. I will have to give this recipe a try. You can never have too many cookies this time of year. Oh Marissa, these look splendid. Love the sprinkles, too. Makes them so colorful and festive. Thanks for sharing. What a sophisticated little cookie. I love the addition of the spices, it makes these cookies special. I can’t wait to make them. The hints of clove and cinnamon are wonderful! 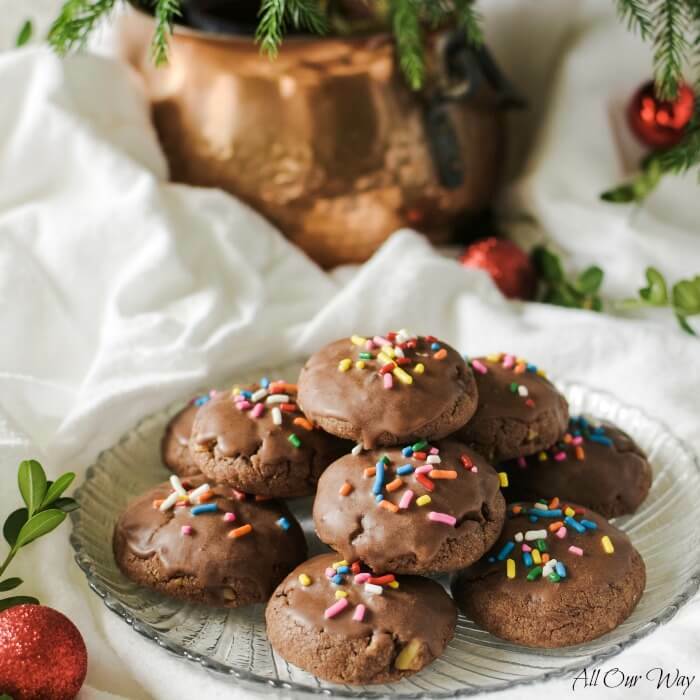 I also love the orange in the chocolate glaze- a perfect cookie for a holiday platter! Christmas cookies are one of the best things about the season! 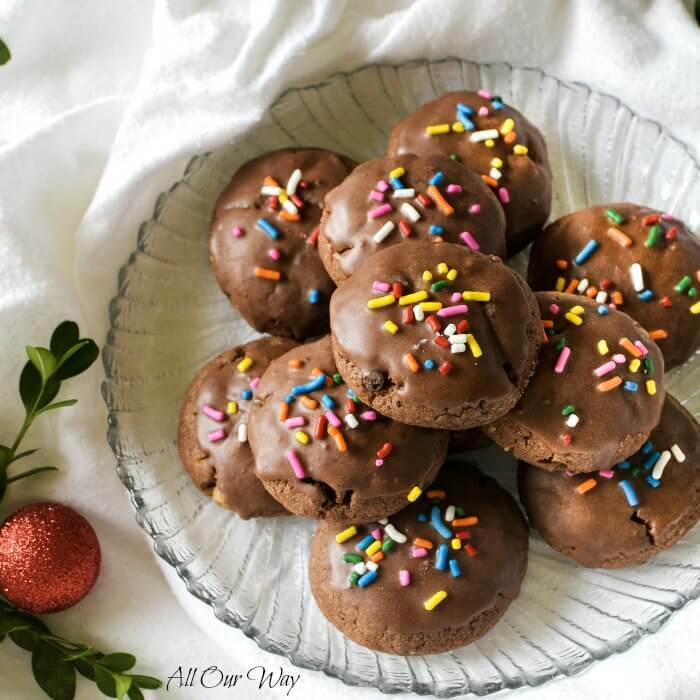 These look so delicious, I’m sure a plate of them is emptied in a hurry! Ooh I love the freshly ground black pepper in there, it would give the cookies just that little bit of a kick. Delicious, especially when paired with the sweetness of the chocolate and the earthiness of the walnuts! These sound delicious, and are getting me super excited to start my couple weeks of cookie baking!